Please note: this Bulletin is being put on the website one month after publication. If you would like to receive the Bulletin by email as soon as it is published, please contact the Membership Secretary about joining the Lewes History Group, and to renew your membership at the start of the calendar year. 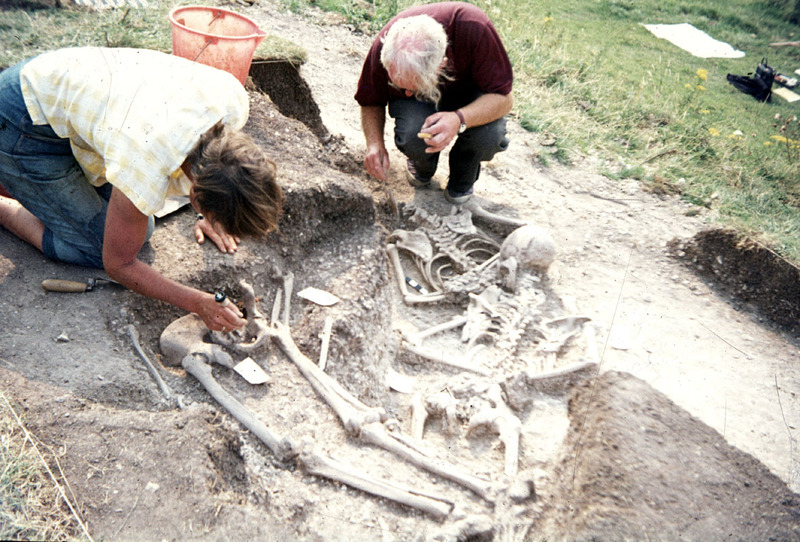 Greg Chuter is Assistant County Archaeologist for East Sussex and has carried out many archaeological investigations in the Lewes area. 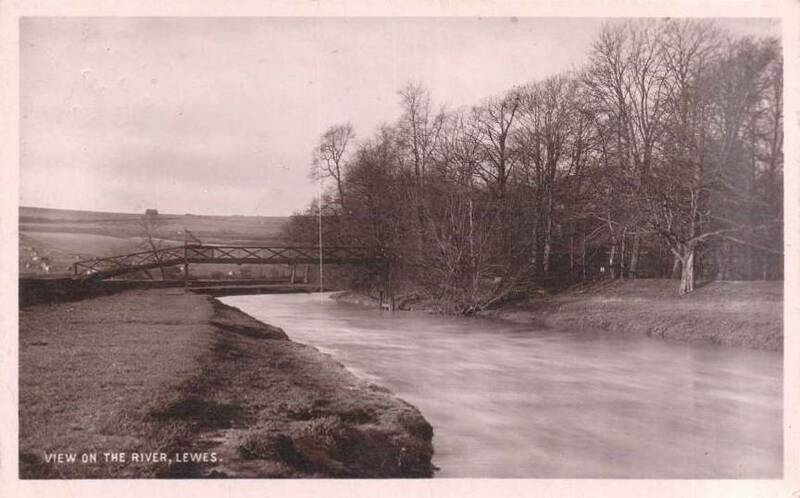 In his illustrated talk he will focus on the archaeology of Malling Down, above Lewes. Here evidence of human activity has been found starting over 6,000 years ago, with intensive occupation and farming activity in the Bronze Age and Roman periods, and continues through to military activity in World War II. One of the most exciting discoveries was a mass grave containing a group of men who were evidently executed in the Saxon period. Were they Viking raiders, or just the victims of a local dispute? Modern scientific analysis of skeletal remains can reveal where people grew up, and LHG helped fund the lab analysis for these victims. At this talk Greg should be able to reveal where these men may have come from. As usual the meeting will be at the King’s Church building, Brooks Road, and all will be welcome. We shall be serving coffee and biscuits prior to the meeting. In 1825 James Rouse published a volume entitled ‘The Beauties and Antiquities of the County of Sussex’ which contained 149 lithographs from original drawings made in the field. The volume was dedicated to H.R.H. Prince Frederick Augustus, the Duke of Sussex and one of King George IV’s brothers. This view of the Barbican was drawn by Rouse in 1823. The main feature is immediately recognisable, but its surroundings have undergone quite considerable alteration. The town of Lewes figures prominently in the volume. George Smith, 31, labourer, was charged with stealing from the Cliffe Brewery a brass union, value 20 shillings, the property of Mr Alexander Elmsley, on the 1st inst. A brass union is a plumbing fitting, still available today. 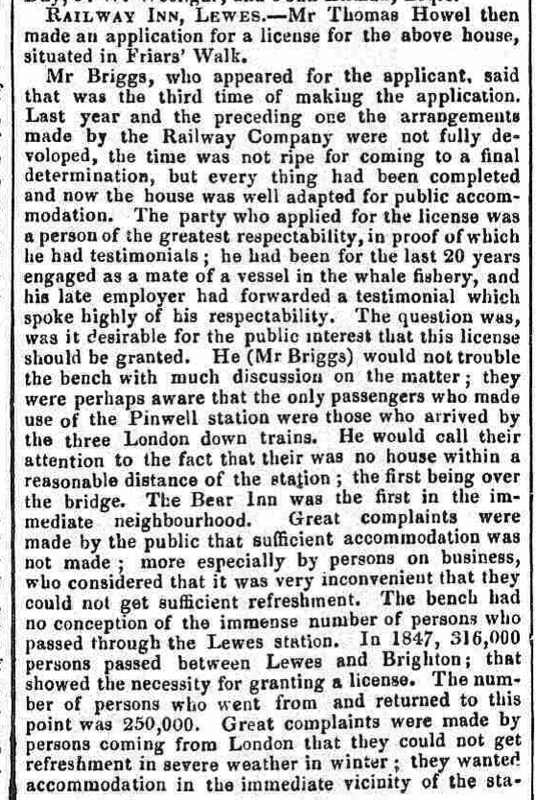 Edward Wren, marine stores dealer, St John’s, Lewes, said that on Monday night the prisoner had come to his stores and asked whether be bought old pipe. He replied that he did, but that it was too late that night as it was past 6 o’clock. As the prisoner was leaving he asked to look at it, and then thought it was suspicious. He therefore said that he would take it, and asked the prisoner to return on the following day. After the prisoner had left the shop, he had informed Sergeant Peacock of the East Sussex Police. The next day the prisoner had returned at 12.30, and he had asked him where he got the goods. He was told he had dug it up in a drain down near the river. He had then detained the prisoner and sent for Sergeant Peacock, who took the prisoner into custody. Sergeant Peacock deposed that he had asked the prisoner how he explained his possession of the brass union, and was told that he had found it when he opened a drain while working near the river. After taking the prisoner into custody he had examined the union, and found a dry cobweb inside it, showing it had neither been recently used nor in water. He afterwards went to Mr Elmsley’s brewery, where he fitted the union to a pump and found that they exactly coincided. Edward Foord, a labourer employed by Mr Elmsley, identified the union as one that had been screwed onto a pump there. He had seen it three weeks previously, and he gave evidence that the prisoner had worked on the brewery premises for some time. The prisoner was then committed for trial at the next Epiphany Quarter Sessions. 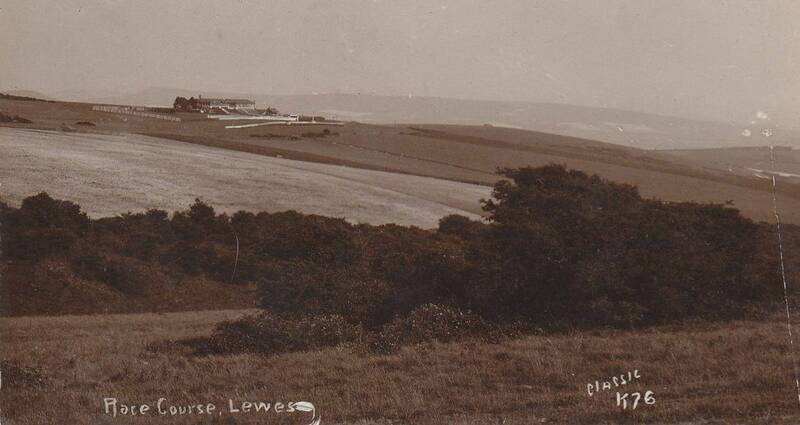 This attractive postcard of Lewes racecourse, with Firle Beacon visible in the distance had a 1912 postmark. It was sold on ebay in December 2015 for just under £25. Another view of the footbridge across the River Ouse at South Malling – this time photographed looking away from the town. This postcard, published by Boots the Chemists, bears a 1915 postmark and was offered for sale in January 2016. Herbert Whitfeld was born in Hamsey on 15 November 1858 and died at Chailey on 6 May 1909. Although he lived for only 50 years, he managed to pack quite a lot into his life. His great-great-uncle Francis Whitfeld was one of the founders of what became the Lewes Old Bank in 1789, and four generations of Whitfelds were partners in the bank until it was merged, with twenty others, to form Barclays in 1896. Herbert’s father George Whitfeld, who lived at Hamsey House, Hamsey, until his death in 1891, and Herbert’s elder brother Francis Barry Whitfeld were both partners in the Old Bank, and Herbert joined them after his father’s death. In his early life Herbert was an exceptional sportsman. He was sent first to Eton and thence to Trinity College, Cambridge. He played both football and cricket for Eton College, playing in the first cricket eleven for three years and being appointed captain in his final year, 1877. At Cambridge he won blues for cricket every year from 1878 to 1881, but it took him a little longer to break into the Cambridge football team, winning blues only in 1879, 1880 and 1881. He also represented Cambridge in athletics, as a middle distance runner, and in real tennis, where his partner went on the captain the England cricket team in the first series against Australia with the ashes at stake. As well as playing for Cambridge he also played football for the Old Etonians as a wing forward. In those days the Old Etonians were a force on the national scene, and he played twice for them in F.A. Cup finals, gaining a winners’ medal in 1879 but being on the losing side in 1881. In 1879 he also made a single appearance for the England XI, playing against Wales in January 1879. After leaving University he played football for the Wanderers team until they disbanded in 1883. His cricket career lasted a little longer. He made his debut for Sussex in 1878 and continued to play for them until 1885. He was the Sussex captain in 1883 and 1884. He played occasional games for the MCC until as late as 1887. He then seems to have turned his attention to the family bank, living at Old Bank House, between the Star Inn (now the Town Hall) and the present Barclays Bank building. Another of Herbert’s achievements was to become a director of Barclays itself, based mainly in Lewes. He was also an active magistrate sitting in the Lewes court in the decade up to his death, which occurred at Warren Wood, Chailey. His obituary notes that he had been an invalid for a considerable time but that his death was painfully sudden. Source: Wikipedia and local newspaper reports in the British Newspaper Archive. I do not think the fees mentioned in this item in Bulletin no.67 are per week, but that “per session” in this context means per term. Editor’s note: That would certainly make them much more reasonable. 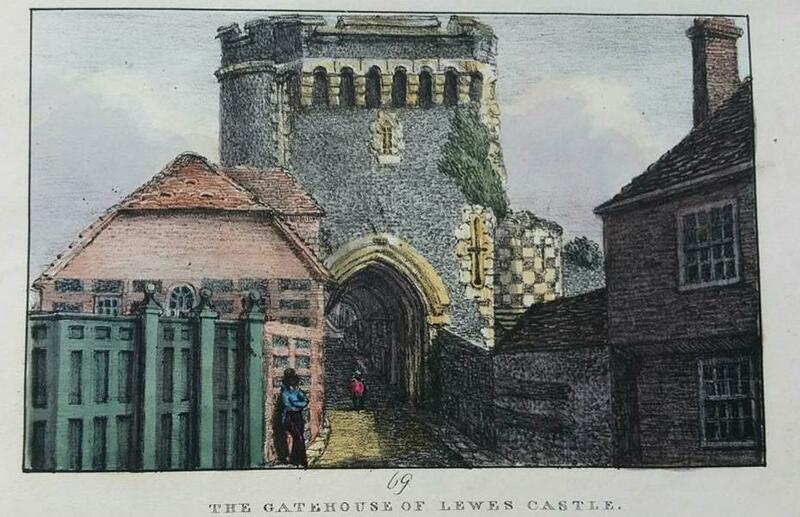 This entry was posted in Antiquities, Art & Architectural History, Cultural History, Legal History, Lewes, Local History, Transport History. Bookmark the permalink.